The book titled ‘Baat Niklegi Toh Phir’’ by Sathya Saran attempts to give us a peek into the man who mesmerized one and all with his innovative take on Ghazals. The book quotes liberally from another book that can be found here. 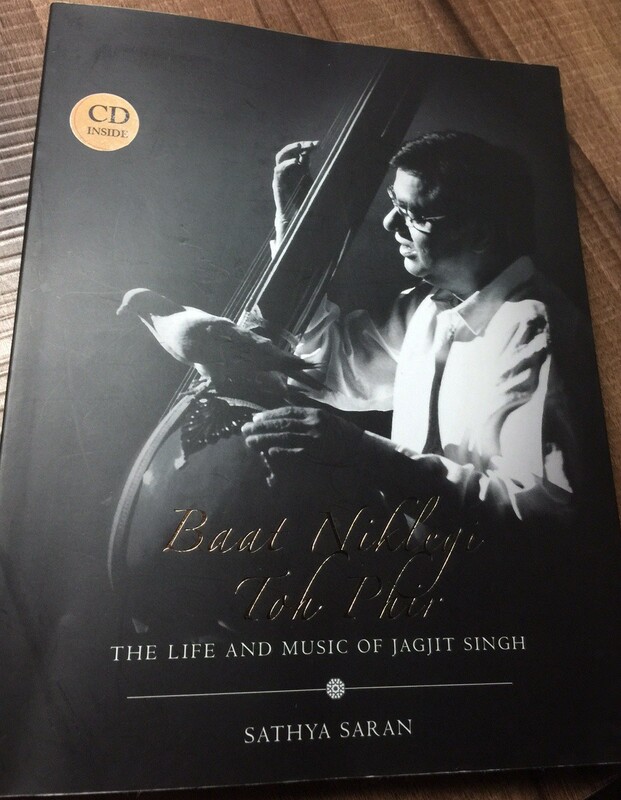 The book traces Jagjit Singh’s life from his childhood days. His name change, religious beliefs, his quirks, everything is mentioned liberally and for those who are long time followers of his work, it would be a good account to go through. I don’t intend to ruin the book for you but I didn’t know he was a good hockey player too. The book beautifully captures his journey from college days to striking it big and becoming a genre in himself. As we go along this ride, there are moments of humor, insight and pain that shaped the man. The days of struggle are detailed particularly well. I didn’t know he was good friends with Subhash Ghai. Of course, after reading about this friendship in the book, I quickly reminded myself that about 3:29 minutes in Subhash Ghai’s ‘Hero’, you could hear a faint ‘la pila de sharaab ae saaki’ by Jagjit Singh. May be there is a story there. Anyway, coming back to the book, it also mentions a lot about other friends which you must find out as you go along the pages. There are only 200 of them so try to not finish them up quickly. There are a lot of pictures and trust me you haven’t seen most of them! There is enough film world trivia in the book. Also, some ‘greats who had access to the industry’ and their rigidity is mentioned particularly well in the book. These days when people romanticize their ‘struggles’ on their smartphone and blame their bitterness to their ‘struggles’, it is heartening to see that the author hasn’t preached against the big bad film world. Keep in mind that Jagjit Singh was trying to make it big in the world of film music when the greats and their gatekeepers had defined what should a song sound like and no ‘exceptions’ were allowed. The book bares all about the beginning of the relationship that Chitra Singh had with Jagjit Singh, and how it blossomed into a partnership which would go well beyond music. I don’t know about you but I always thought Chitra Singh had a prior knowledge of Urdu. I was wrong. Her Urdu diction was corrected by Jagjit Singh, and my God, was Chitra Singh a superb student or what! What came as a surprise to me was that Jagjit Singh established himself as a live singer and then went on to cut albums when the record company gave him a green signal. This means, there should be a lot more ‘private recordings’ in the world. I wonder how to get them all. Of course the book touches upon this as well. Apparently Chitra Singh is trying hard to collect all of Jagjit Singh’s recordings and present it to the world. What I absolutely liked is the fact that the book doesn’t try to paint the man as someone who had no human flaws. Some people might find the details of his charities quite overwhelming. Remember, all this was done when there was no internet and no one was bending over backwards to prove that they are being human. Also, we are reading about all this four years post his demise. There are bits which I didn’t quite agree with, for example – the author feels Jagjit Singh signed on ‘any record company’ towards the later part of his career which resulted in poor quality of music from him. I feel every album had at least 3-4 ghazals which made it a worthy proposition for ghazal lovers to buy the album which is a stark contrast from Ghazal albums of today. It is a known fact that Jagjit Singh always looked for lesser known poets and showcased their work through his albums. The book makes a fleeting reference to this. It would have been great to hear from those poets about their interactions with Jagjit Singh. There are also some not so good facts about certain albums which might disturb an avid follower of his work, but then what is perfect? Towards the end of the book, a rather touching description is given about Chitra Singh of today. Author tells us that Chitra Singh has resigned herself to a world where she treads cautiously because it is filled with old memories and the pain they bring along. She doesn’t meet anyone. Jagjit Singh ensured ghazals reach a larger audience, and presently, Chitra singh is trying hard to bring all the recordings of the legend to listeners and she is having a tough time doing that. Irony loved Jagjit Singh in more ways than we can imagine. Since the day he has left the world, I have heard him less. Probably because I started listening to him when I was 12, there are ghazal albums etched in my mind and that is why I don’t need to hear his work to remember how he lent a voice to millions like me, our lives, our happiness, our joys, our rhythmic claps in his concerts (and sometimes in our living room, alone) etc. The claps have long gone, the echoes remain. For me there cannot be a bigger reward to stay alive than any new piece of information or a ‘rare and unheard’ piece from Jagjit Singh because I have lived my life with Jagjit Singh’s ghazals in the background. There can never be one definitive work that can encompass the whole life of an artist like Jagjit Singh. 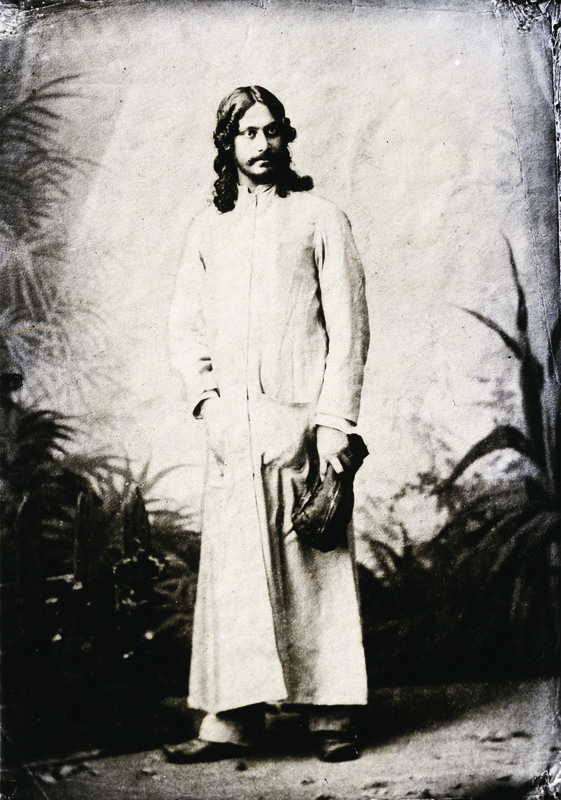 This book is a ‘must-have’ for commoners and collectors, just like his ghazals were a treasure for both the breeds of music listeners. We are listening, we always will. WHERE AND WHEN CAN WE BUY IT FROM ? Why Is FTII Director Prashant Pathrabe Blatantly Lying?